LOS ANGELES, Oct 24: Actress Angelina Jolie's children are helping her rethink how she handles herself in court during the divorce proceedings. The actress has also decided to back off with the "aggressive divorce tactics" against Pitt for the sake of their children. Jolie, 41, has consistently affirmed that her six children are her biggest priority since she announced her split from Pitt, 52. 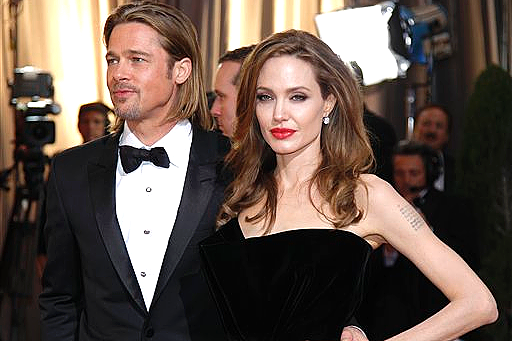 "After looking bad in the court of public opinion, Angelina is backing off her aggressive divorce tactics," hollywoodlife.com quoted a source as saying. "She wanted to expose the truth about Brad being not as sweet and innocent as his fans think but she didn't anticipate such a backlash from close friends and family. Angelina's trusted advisors have pleaded with her to be more gentle in handling the separation and divorce," the report said. "Those close to her have also convinced Angie that if she continues to go hard after Brad, the biggest losers will be the people she cares most about, their kids. Her main goal has always been protecting her children," added the source. Jolie filed for divorce from Pitt on September 19 citing irreconcilable differences while seeking physical custody of six children.